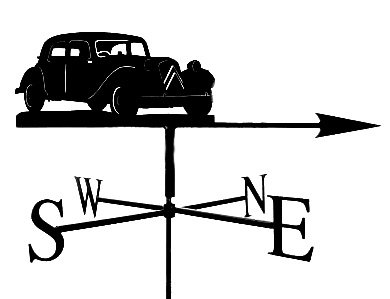 Get your own attractive Citroen Traction Avant themed weathervane for your house, garden or shed. Measures approximately 102 cms across the cardinal points and is intended for significantly large buildings, such as manor houses. £375.